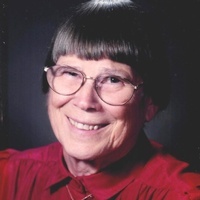 Gladys H. (Glick) Simmons, 99, of Columbus, died Sunday, March 31, 2019 at her home. Gladys was retired as a Special Education teacher with BCSC. She had also been a Registered Nurse. Gladys was a member of Hope United Methodist Church. Her community volunteerism has covered areas ranging from church to foundations to service organizations. She enjoyed cross stitching, knitting, tatting, and quilting. She also enjoyed reading, especially biographies. Born on June 16, 1919 in Pisgah in Johnson County, Gladys was the daughter of Harry R. and Helen C. Lawyer Glick. She graduated from Clifford High School in 1938 and graduated from Bloomington Hospital School of Nursing on September 5, 1941. She received a Bachelor of Science in Education from Indiana University in August of 1975. She married John Perry Simmons on September 28, 1941 at the Flat Rock Methodist Parsonage. He preceded her in death on December 28, 2015. Survivors include children, Jim (Jo-Ellen) Simmons of Homer Glen, Illinois, Don (Roseann) Simmons of Fort Wayne, Ron (Adele) Simmons of La Quinta, California, Betty Ann (Curtis) Garrett of Greenwood, Larry (Kathie) Simmons of Muncie, Catherine Simmons of Columbus, and Bonnie Baute of Hope; 12 grandchildren; 17 great-grandchildren; four great-great-grandchildren; and her special caregiver, Nicos Panciocco, who provided Gladys with exceptional care since 2012. Gladys is preceded in death by her parents; husband; son, Tommy Simmons; son-in-law, John Baute; siblings, Ruth and Edward Glick; and sister, Alice Rutan. A service will be held on Thursday at 12 p.m. at Hope United Methodist Church with Pastor Ed Cottrell officiating. Visitation will be from 10 a.m. until time of service at the church. Burial will follow at Hope Moravian Church. Memorial contributions may be given to American Red Cross, Our Hospice of South Central Indiana, or Hope United Methodist Church.